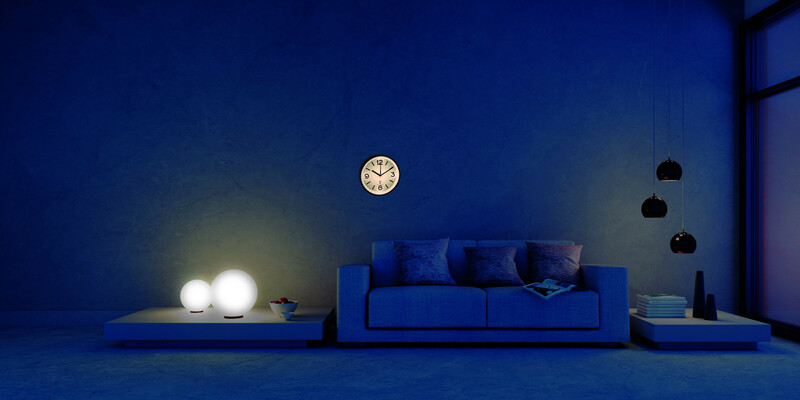 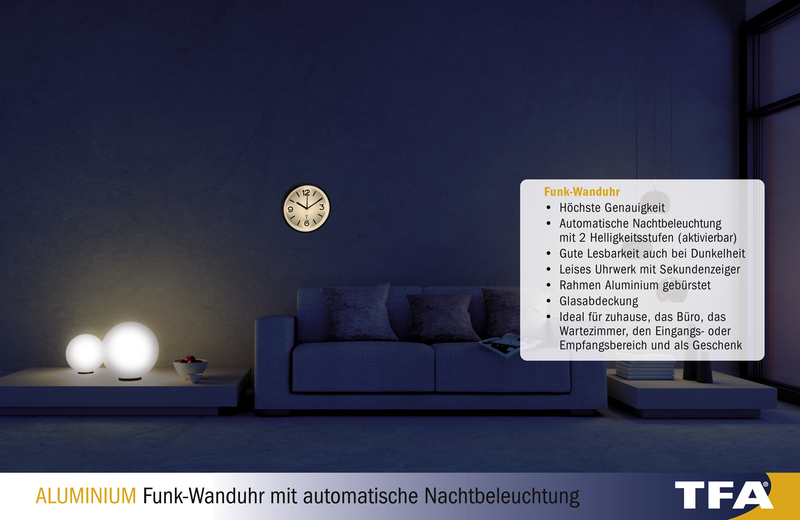 This radio-controlled clock from TFA comes with a special highlight – the display is automatically illuminated in the dark, so you always have the current time in view at night. 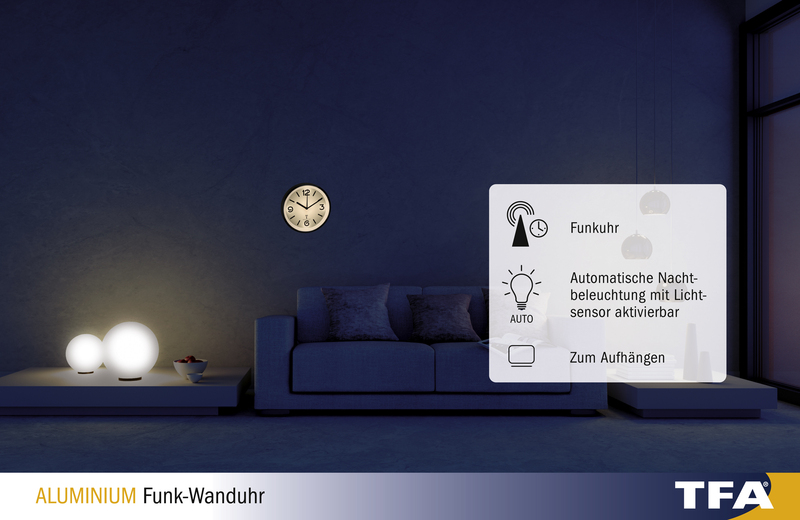 The light brightness can be adjusted up to two levels. 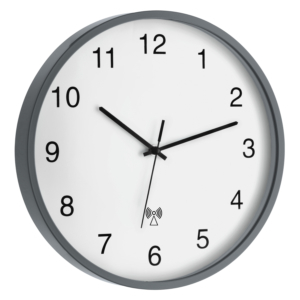 The movement is very quiet. 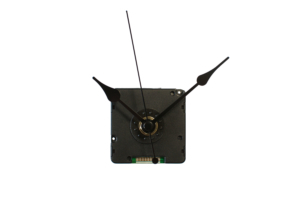 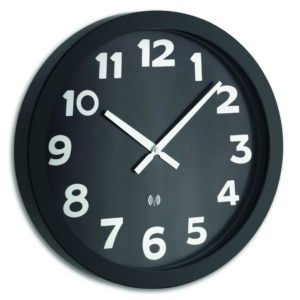 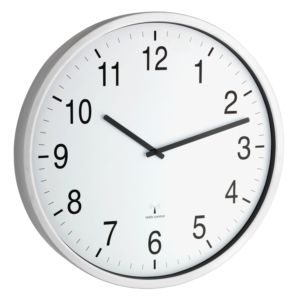 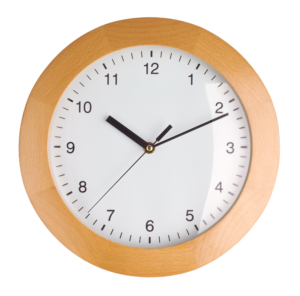 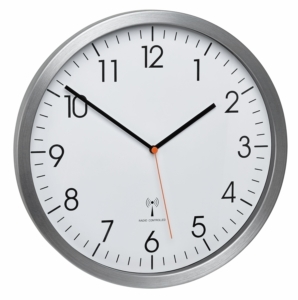 The wall clock design is timeless and adaptable. 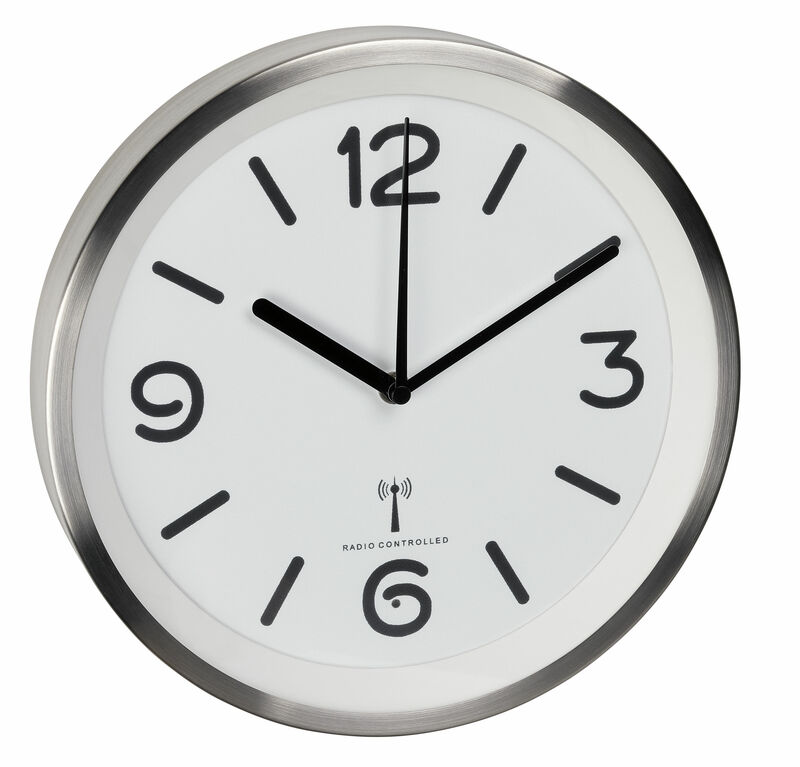 The aluminum frame and the glass cover emphasize the high quality character.